Getting started is the most important investment decision you can make. Momentum is a powerful force and once you get going, making regular contributions to your investments becomes second nature. Before you know it, you’re well on your way to building a healthy financial future. Let’s take a look at how you could invest your first $5,000, even with all the recent financial market events. Have a plan for the cash in next 5 years? Consider putting your $5,000 in a high-interest savings account. When you invest in the share market you need to be thinking long-term, to ride out any market fluctuation. 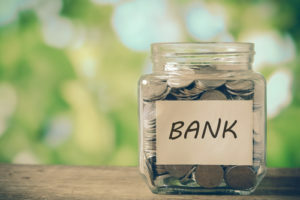 By putting the lump sum in a high-interest savings account, you can earn a higher return than leaving it in a transaction account while maintaining safety and liquidity. A savings account lets you earn interest on your account balance and the rate of interest can fluctuate in line with the official cash rate. The power of compound interest really kicks in over time as you begin to earn interest on interest from the initial deposit. High-interest accounts are flexible and if you do need to access your cash, you’re able to do so without a heavy, or any, penalty. You can also make additional contributions to your initial $5,000 on a regular basis to supercharge your savings balance. 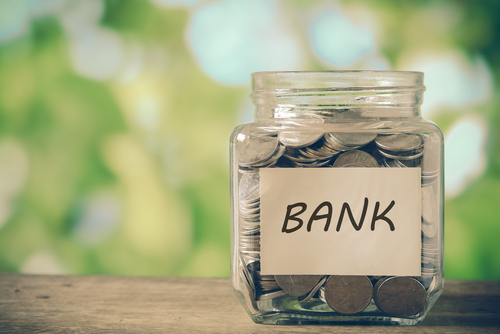 Like a high-interest savings account, a term deposit is also a good option for short range financial goals. Term deposits pay a fixed rate of interest within a fixed time frame. For example, a term deposit might offer a rate of 3.4% over a fixed period of 5 years. The deposit stays with the bank until the end of the fixed period, when the deposit matures and can then be accessed. Generally, you will receive a higher interest rate for locking into a longer term. Banks can vary in the way they pay the interest on term deposits. Usually, if a term deposit is 12 months or less, interest is paid on maturity. For deposits longer than 1 year, interest is generally paid annually. When researching term deposits, you’ll likely use the interest rate as the key factor to drive your decision making. It’s also important to figure out whether there’s a chance you’ll need to access the funds during the fixed term. 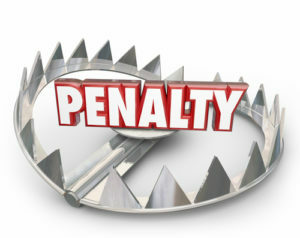 While it is possible to withdraw your funds prior to the end of the fixed period, there is usually a penalty to do so. If the chances are high, it may be better to stick with a high-interest saving account where you can access funds without a penalty. Term deposits are low maintenance and with your savings locked away, there’s less temptation to spend. The downsides? The interest rate you’ve locked in can’t increase if the market does and you won’t be able to make additional contributions to the initial deposit. You can compare term deposit rates with Canstar term deposit calculator for those in Australia, and for any other country, it should be a simple google search to find a comparison site. These cash investments are considered short term as the returns tend to be limited. In time you want to be spreading out into other asset classes that provide both capital and income returns. Since this is where we want you to be at The Investor’s Way, these following options are great for getting started when you have a long term focus. When it comes to growing your wealth for financial freedom, the first goal is gettingstarted. Once you have started, the second goal is to focus long term and look at accumulating cash generating assets with the added benefit of capital growth. With so much talk in the media about stock markets falling, property prices under pressure and political unrest around trade wars, it is hard to know what to do. Especially if you are just getting started. The good news is, there are options. Since we are looking at what to do with up to $5,000, the first thing to recognise is that a direct property investment is not going to be an option. Exchange traded funds (ETFs) can be a low maintenance, cost-effective way to get started investing and receive returns that contain both income and capital growth. ETFs track an asset or market index and fluctuate in value depending on the market or index they are tracking. An example is the Vanguard Australian Shares Index ETF (VAS) which tracks the ASX200 Australian share index. You can find an ETF for almost anything that you want to invest in. So getting back to property, since we can’t buy directly, we can still get into the property market by selecting a property based ETF. Now that is pretty cool, right? ETFs also track assets like fixed income products, commodities, foreign currencies and precious metals. 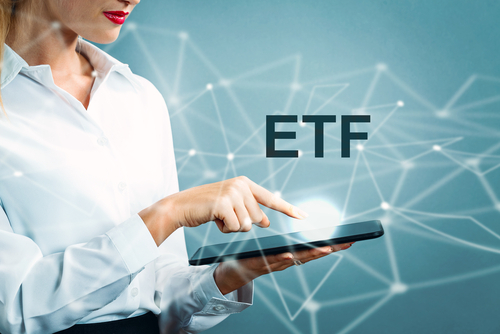 As I mentioned, you can find an ETF for almost any financial instrument or market segment that you like. It’s a great way to diversify your portfolio without the effort of buying individual assets. And since we are talking about getting started with up to $5,000, what a great way to spread your money across a few markets. They’re considered a ‘passive’ investment because simply tracking an index or market segment is inherently less costly than paying a fund manager to actively look after your investments. There’s a lot of hands-on management that comes with buying and selling individual shares, which results in higher fees. And we all know what I think of financial advisor fees. By investing in ETFs $5,000 can become the foundation for a well-diversified portfolio, a great first step in a long-term investing plan. 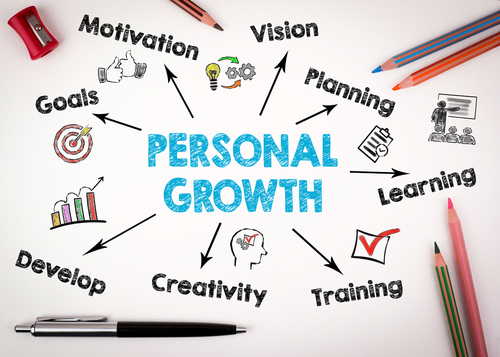 Investing in your personal development can have far-reaching effects, now and into the future. By taking the initiative and investing in growing yourself, can set you apart from the pack and open up wider career,business and investing opportunities. This is particularly important if you are your own boss. Without an organisation backing your personal development (and footing the bill), it’s easy to stagnate. Take the time to consider where you are at right now, and what you might need to help take you to your goals. Maybe allocating some of the $5,000 to you own personal development could be the best investment you ever make. It’s actually the one thing that I would attribute has had the biggest impact on my journey. How would you invest $5,000? Leave me a comment below and let me know what has you interested at the moment. That’s great Dave, glad to hear you are moving forward. just looking for one more either fixed interest ETF or a resource ETF.